Class is in! Mamma is impressed with the newest addition to Hall St in Newport. 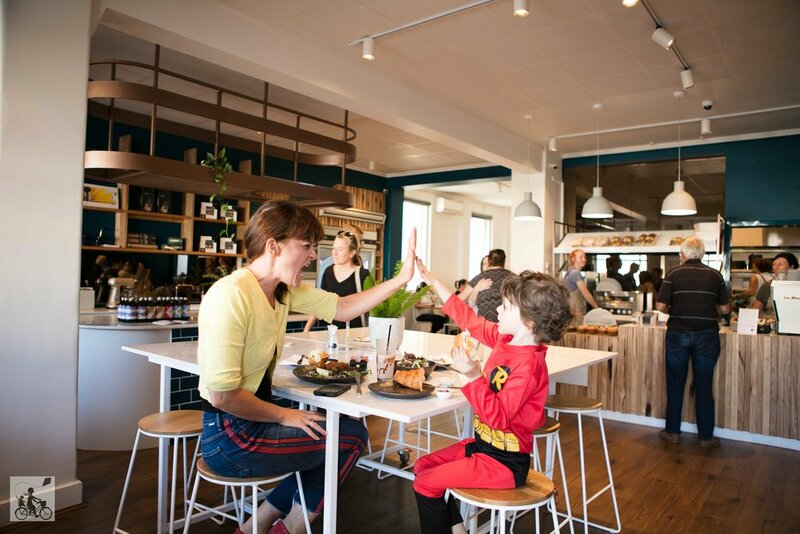 The cafe and cooking school is super schmick and classy with a spacious and beautiful fit out, great menu and yes - cooking classes! Owners Stacey and Nicole are the heart behind this place and it is clear they have a passion for food and reminding us how easy it is to create and serve good food both here and at home. Essentially, Heart of Hall is a perfect place where locals can feel at home to dine in, grab a bite and then even whip it up yourself. The inside of the cafe is really lovely - it is roomy enough for prams and they have highchairs available. They welcome families and have excellent staff to make sure you are well looked after. Oh and Mamma loves the 'goodies' fridge stocked with milk, cheeses and some delicious treats like bacon jam and horse radish cream from Meatsmith.